You may have a thousand and one reasons why you want to apply for a loan but very few would know that there are pre qualifying requirements that needs to be met before you can be considered legible to borrow cash loan. This is of course regardless if you are applying for a collateral or non-collateral loan. 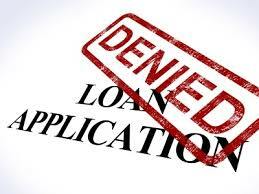 Remember that the top 5 reasons why a loan application gets declined will all boil down to one simple yet easy to understand cause and that is all about risk. Risk plays the role for all lending companies as the one and only reason why the approving officers or credit analysts of a lending company in the Philippines turn down a loan application. It just got broken down into parts like the particles of an atom and therefore, it also branched out into different terms we call it in the lending industry. I will be enumerating my top 5 causes for getting rejected but be sure to search more online as I am pretty sure that the deeper you seek, the more answers you will find. I have mentioned all about risks and so take notice that it will all lead to this when carefully analyzed. Court case – Very few would know that court cases in the simplest form can cause a loan application to get declined or disapproved. I have a client a couple of months ago who had a civil case as simple as siblings custody case and he almost got declined of his non-collateral loan, a seaman loan back in Cebu City. Our approving officers just found a way to have the court case waived to the seafarer got approved in the long run. The downside though to this is that the borrower will have a lower loanable amount approval in the end. Take note that BP 22 case is a very lethal weapon against any borrower with good source of income even if he or she had a collateral to use to file for a cash loan. Financing firms hate the idea of approving a loan application for anyone who had problems with his family or with his or her finances with a case of bounded cheque. It poses higher risk for the lending company that the borrower will not be able to pay for the loan. Relatives in the military, media and politics arena – With experience of collection remarks, lending companies hate to thing of collecting delinquent payments whose borrowers are serving in the military, media or in politics. By experience yet no offense, these people are the hardest to collect unpaid loan balances. There are cases where grave threat, coercion and yes, event brute force is used to the collecting officers and I’m sure, if you were the owner of the lending company, you also wouldn’t like it. Negative area – This had something to do with the area either being dubbed or labelled as delinquent. These areas may those where there is high risk of hold-up, war freak people residing in the area, squatter’s area, areas badly hit by natural calamities (typhoon, earthquake, fire, landslide and so on) and disasters (like that of Bohol, Cebu, Tacloban, Leyte and the like) recently as well as areas where war is on going. Lending companies keep a list of these areas and they rarely diminish but on the contrary, they just increase and grow more. Attitude problem – a simple case of misrepresentation and lying can cause your loan application to get declined or turned down. If a borrower had this kind of attitude, the more so with terms of payment of the monthly loan amortization. Very low capacity to pay – this is a major consideration for many lending companies. What do you think is the main reason why they get how much expenses you have for your monthly bills and miscellaneous? Why do you think these firms try to make you provide a co-borrower in case you don’t have enough income to show in your documentary requirements? And why do you think what others call as loan sharks ever get your latest bank statements or how see how much salary you are receiving in your payslip or if you have other loans existing with other lending companies or if you are in bad credit status? Why? Hmmm! You know there’s more but I’m afraid that if I try to enumerate them all there that nobody would apply and get my services of loan application assistance anymore. That I would loose my credibility trying to sell my services for a lending company whilst revealing the true reason behind a loan getting disapproved. But you must’ve guessed it by now if you are witty. I am a professional and I will not just hide what I know but apply them all by all means to all or any of my clients just to make sure I serve with dignity and pride to open up all these facts and opinions as well based from my very own experience as a top loan consultant of my generation in the Philippines. Despite all these, at least my clients will know outright if they have a slim or strong chance of getting approved of a loan application in the Philippines, given all the situations listed above. Furthermore, I strongly believe that opening up with my clients, my very own experience will help me build a stronger relationship with them, thereby helping my work become easier and on the other party, get served with professional attitude. I am not your regular loan agent, I am a professional in the field and I will continue to be one for as long as I know and love what I do and my main purpose is to help and not just to earn from my job. Hi, I was trying to open up the non-collateral personal loan but I cant seem to find any personal loan that suits me…I would like to apply for a personal loan now that I am promoted. But the reason for my personal loan is that I would just like my SSS to be paid because when I had it two (2) years ago from my previous company, to my surprise, the monthly ammortization was not deducted from my monthly salary. I would just like to have this settled and get use of my SSS and have it consolidated through my current employer. Please help me. Regards.